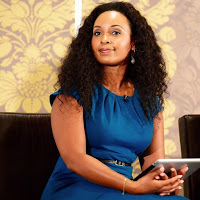 Former AM LIVE’s awe-inspiring host Sheila Mwanyigah who doubles up as a singer is currently a victim of cyber bullying. It seems like criticizing a celebrity has become part of the norm. Fans are not afraid to air their ‘negative’ views about their favorite celebrities. Kiss 100’s Adelle Onyango was to ‘hide her crooked teeth while smiling,’ Janet Mbugua was told to ‘tell her sponsors to give her maternity leave’ and so on and so forth. Recently, former Nation Media Group’s talented TV host happened to be criticized by a fan claiming that she has everything except a husband.